Guys, this is so hard. It’s been so long and it feels like I’ve forgotten how to put words together. It’s funny, my writing started with blogging and now the thought of writing a blog post feels harder than writing a novel. But I have things I want to say so I’m pushing forward, hoping I’ll fall into some sort of a rhythm. I know better than aspiring to regular blog posts. (I’ll be happy if I make it to the end of THIS post.) But maybe if I get my feet wet again (by writing a post about nothing? I’m beginning to question my reasoning here.) it will feel easier to come and talk and share and write. I didn’t post anything on Facebook or here on the blog about the New Year. I didn’t pick a word or make a list of New Year’s Resolutions. I didn’t even think about what my resolutions would be if I did decide to write them down. Last year rolled into this one with little fanfare or reflection. That feels a little sad, so let’s reflect, shall we? 2013 was a good year. My family life morphed into something that frequently makes my head spin. My oldest turned twelve, a landmark that brings all sorts of added activities and responsibilities. My youngest turned 1, turning my life into a constant stream of toddler induced chaos and total mayhem MOST OF THE TIME. Nothing screams peace like a toddler in a diaper, standing in the center of your kitchen table flicking the keys off your laptop. I mean, I’m not complaining. He’s totally adorable which makes the mayhem much more tolerable. But oh my word, he makes me tired. Funny how easy it is to forget how destructive a tiny person can be until you have another one, streaking naked around your living room, squealing with delight and sloshing his overturned bottle around like a maraca, spraying your sofa, your hair, your dog, even the ceiling with tepid milk. You can feel it, can’t you? The peace that fills my home? Also contributing to the general peace and quiet around here, 2013 was also the year we started homeschooling our three elementary age children. 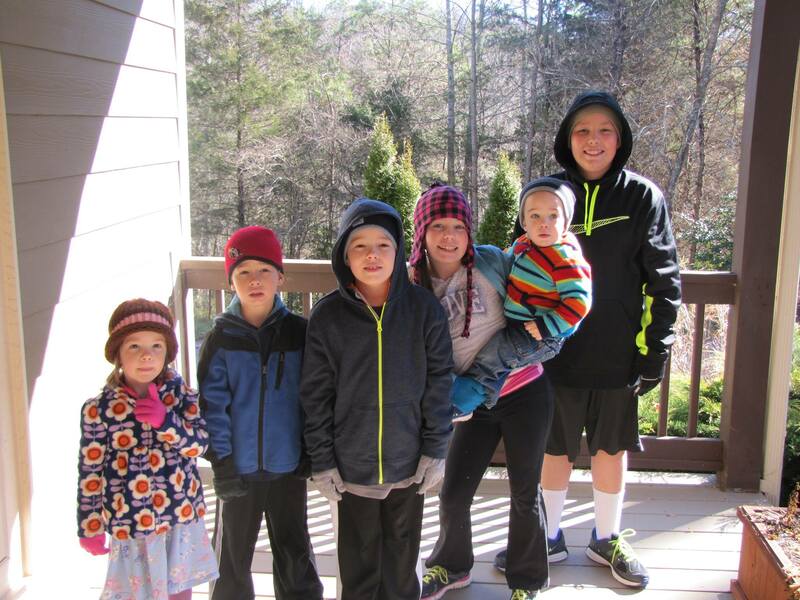 Because of limited educational opportunities in our very small town, we felt like it was the best option for our kids. I’ve been told all you should strive for the first year of homeschooling is simply to survive. And well, we are surviving. But I’m also not afraid to admit it’s the hardest thing I’ve ever done. The constancy and the noise and the SO MANY THINGS to keep up with. It hasn’t been easy. It’s getting easier though, slowly but surely, which is promising. We’re settling into more of a routine and I’m learning not to be too hard on myself when things don’t go as planned. Because really. When does anything ever go as planned? 2013 was the year of The House at Rose Creek. Oh, what a lovely experience it has been to have my book out there in the world. I can’t think of it without feeling humbled and grateful and so happy that I have the opportunity to write and share my words with others. The book launch party in August was a highlight of my year. I’ll never forget how wonderful it was to have so many people that I love helping me celebrate. It was a great night. My next book, tentatively titled Mountains Between Us (don’t get attached, it’ll likely change in the editorial process) is due out in August, 2014. I love this one even more than the first and can’t wait for everyone to read it. I’m also working on a third novel, this one for the mainstream fiction market, which is both thrilling and terrifying all at the same time. 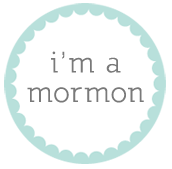 To publish in the national market, rather than the smaller, niche LDS Fiction market, I’ll need to get an agent, a process I hope I’ll be ready for by Spring. I hope I’m ready; I think I’m ready. Nearly Nell (again, working title, but I’m hoping it’s one that will stick around) is a novel I really, really love. (I say this like it’s unusual… like there are authors out there who say, “I wrote a book but I don’t really love it.” Just bear with me, okay? I’ll be done in a minute.) It’s a story that is so very different than my first two and I hope beyond all hope it can find a home somewhere out there in the literary world. I’ve been told the agent hunt is grueling, but I’m hopeful. Other 2013 happenings? I celebrated 13 years of marriage to a man I’m still falling in love with, more every day. I attended my first LDStorymakers Conference and met many of my online friends in person, validating the unusual fact that many of them I already considered to be among my most cherished friends. The writing community is a wonderful thing to be a part of, that’s for sure. 2013 was the year of musical beginnings for the kids… cello, violin, guitar, piano. We are a noisy house. But it is noise I love. I have high hopes for 2014; for the family, for my husband’s career, for my writing. But one day at a time, you know? Anything more than that, and it all starts to feel far too overwhelming. Seriously. Is this adorable, or what? These little people make me very happy. Also very crazy. But mostly very happy. Seriously. They are so delicious. I make the cookie dough, then I make the glaze, then I eat half the raw cookie dough dipped in the glaze while hiding in the corner of the kitchen with my back to the children hoping they don’t realize what I’m doing. Then I bake the dough that manages to survive my gluttony. Then I run six miles. Or maybe just a sixth of a mile. Or maybe just the distance from the corner of the kitchen to the oven when the timer goes off and I know there are fresh cookies to be had. But I probably should run six miles. Because I can’t stop eating cookies. Preheat oven to 350 degrees. In a medium bowl, whisk together flour, baking soda, salt, and lemon zest. In a large bowl, using an electric mixer, beat butter and granulated sugar until light and fluffy. Add egg, vanilla, and lemon juice and beat until combined. With mixer on low, beat in flour mixture. Drop dough by heaping tablespoons, 1 inch apart, onto two baking sheets. Bake until edges are golden, 15 to 20 minutes, rotating sheets halfway through. Let cool 2 minutes on sheets, then transfer cookies to a wire rack to cool completely. 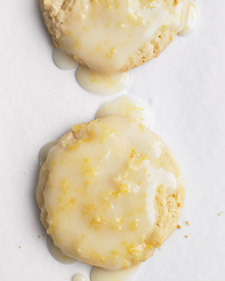 Spread cookies with Lemon Glaze and let set, about 1 hour. In a medium bowl, whisk together 2 cups confectioners’ sugar, 2 tablespoons finely grated lemon zest, and 1/3 cup fresh lemon juice until smooth. You won’t be sorry. Try them, love them. Hide them from your kids. Unless you don’t like lemon. Then don’t make them, cause you’ll be disappointed. Care for some general cookie baking tips? First and foremost, if you can manage, get yourself a Silpat baking mat. They sell them on Amazon for 15 to 20 bucks, and in most specialty kitchen stores. They fit right into the bottom of most standard sized cookie sheets and go a long way to turning out good cookies. It helps them bake evenly, and makes it harder to scorch the bottoms. They are also great if you ever make toffee and need a nonstick surface. I’m only going to say this once. Please, oh please use real butter. Pretty please? Soften your butter by leaving it at room temperature, or by microwaving it on 30% power for fifteen second intervals until it feels nicely squishy, but NOT melted. Don’t over beat your dough. You want everything nicely blended and fluffy, but don’t make yourself tired. Cookie dough can get tired too. Tired dough leads to flat and lifeless cookies. When in doubt, use the lesser number when it comes to recommended baking times. Bake for 8 to 12 minutes? Start with 8, then check and see how your cookies look. Don’t think picking somewhere in the middle will work. It might, but better to under bake at first. You can always leave them in longer if they need it. Look for slight browning right around the bottom edges of your cookie, even if you think it looks underdone on top. Let them cool on the cookie sheet for several minutes, until you can lift them from the sheet without them breaking. 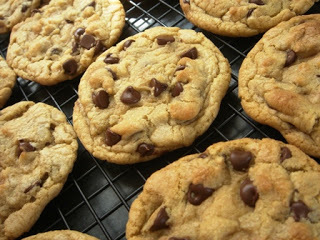 Most cookies can be soft and chewy cookies, if they aren’t over baked. If you like your cookies crispy, leave em in the oven longer.